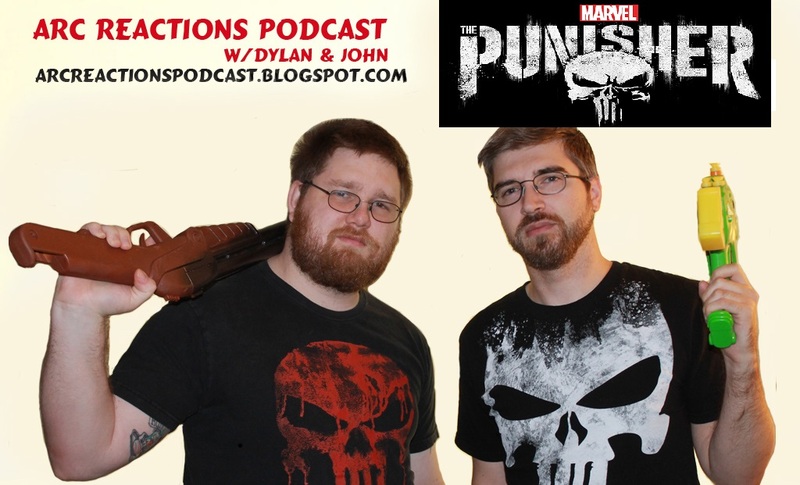 In this episode the guys are joined by Marvel’s The Punisher actor Michael Nathanson (Homeland Security Agent Sam Stein) . Micheal and the guys discuss his career, The Punisher and the fact the he’s a big nerd himself. Micheal also reveals his deepest darkest desire to have a Sam Stein Funko Pop! They also discuss what it was like to work on Wolf of Wall Street and Madame Secretary. All this and much more, so sit back and enjoy! We discuss Marvel’s The Punisher season 1 from Netflix. We talk about the pacing, the violence, the issues raised on the show, and more. Our next episode will be Arc Reactions 88 – Star Wars: The Last Jedi on December 17th. Super Hero Speak – #231: Just Say Yeah! This week the guys debate the future of Marvel comics, can they last with their current business practices and content? Also the CW announces their next show, Project 13, and Snagglepuss is gay!?! Plus we bring you an interview the creative team behind I am Alfonso Jones. All this and much more, so sit back, relax and enjoy!